Rodrigo Arboleda is the CEO of One Laptop Per Child Association, an organization that has distributed 2.7 million XO computers around the world, and which just marked a milestone in Colombia with the delivery of 11,000 laptops to children in public schools in Itagüí. He has also just been honored in Miami as one of the 100 most influential Hispanics in that city. A special Colombian man. Translation from a post in REVISTA SEMANA of Colombia, the most prestigious magazine of the country. 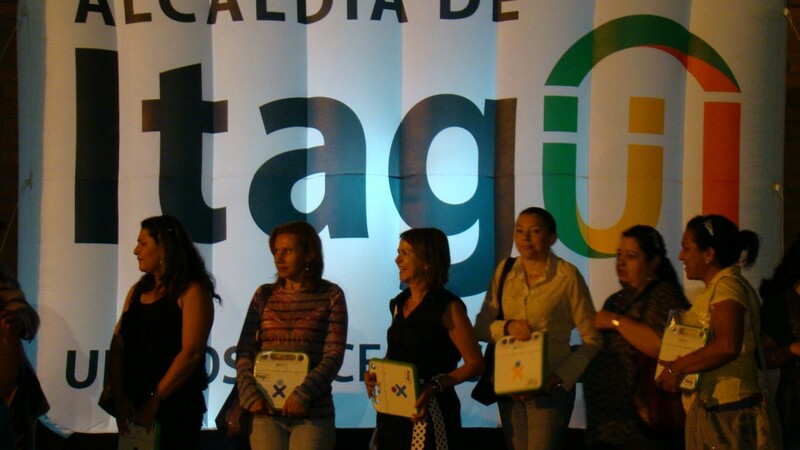 On Tuesday September 4th, Itagüí’s Municipal Mayor, CARLOS ANDRES TRUJILLO, officially handed over the first massive installment of XO computers from One Laptop per Child (OLPC) to teachers of basic primary education official institutions of the municipalities. The main event took place at the Southern Cultural Auditorium in Itagüí (Antioquia, Colombia). 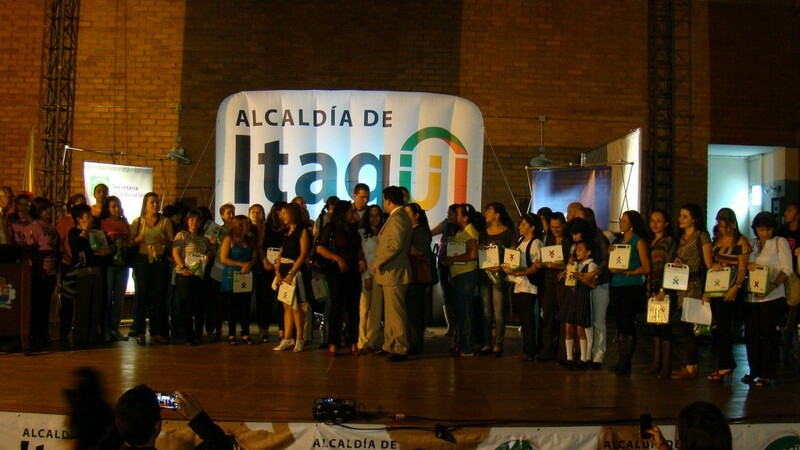 Thus, Itagüí began a process of educational revolution in the implementation of the use and appropriation of technology information and communications that are planned for the education sector and that is being conducted in partnership with the University EAFIT. The project also seeks to raise awareness and ensure the appropriate use of new technologies among all students and make full use of these tools by teachers for the continuous improvement of the teaching process, which will be reflected in management plans within the 24 official educational institutions. The project includes in its first phase leaving a defined strategy that allows for the proper implementation of technologies in the classroom, for which, activities such as training of teachers, school administrators and adequacy of the infrastructure necessary for the operation thereof are being carried out. To do this, educational institutions with XO laptops have already been endowed; in each of the classrooms a whiteboard was installed, each of them gas given a video beam and they installed a central database (CPU) with keyboard and mouse. Additionally, an educational software that allows students to create new experiences, innovate and develop their intellectual capacities and technologies facing the globalized world has been prepared. The Municipal Administration has been working hard in order to improve school environment and provide new tools that allow the education sector of the municipality move forward and become a national model framed in change and transformation of education. There are roughly 58 million primary school students in Latin America, according to UNESCO’s latest data from their Education For All initiative. 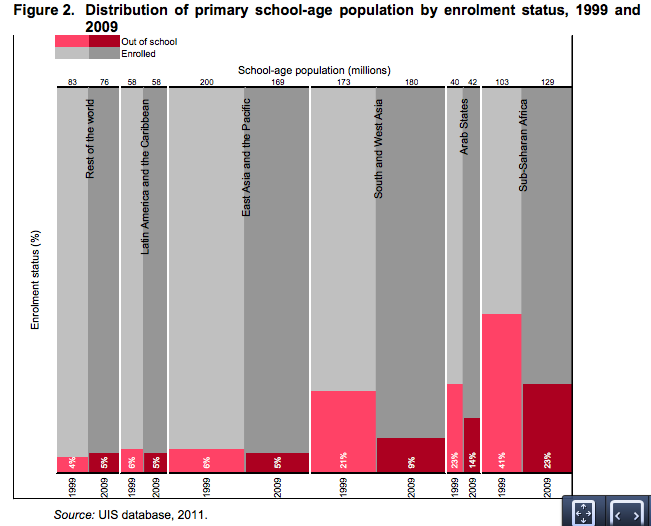 5% of children in that age range are not in school. And 5% of them use XOs: 1.5 million children have their own, and Peru’s urban initiative is giving another 1.5 million students in urban schools access to XOs through a program where groups of 3-5 students share a laptop. Today 4/5 of these students are in Uruguay, Peru, Argentina, and Mexico. But new programs are growing rapidly, in Nicaragua, Costa Rica, Colombia, and elsewhere. That’s a lot of budding Pythonistas, Scratcheros, and Linux users! “¿Cómo va el proceso aquí [en Colombia]? “How is the process going here [in Colombia]? 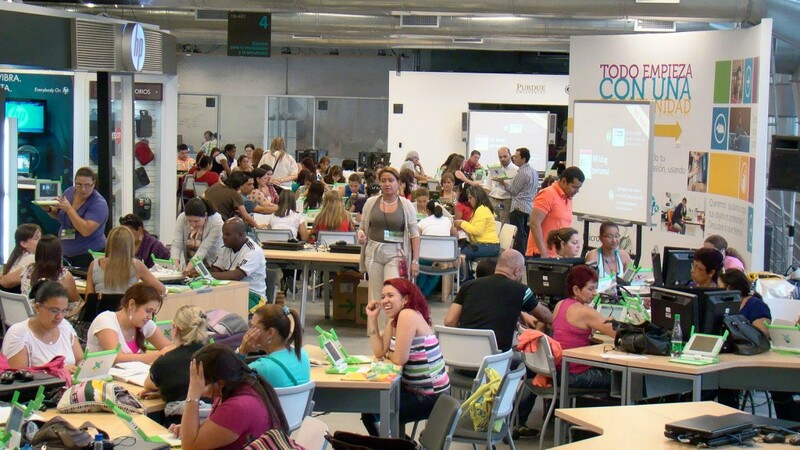 OLPC Colombia published the first issue of its newsletter, UniverXO, this month (pdf), with an essay on “La Revolución educativa con tecnología sigue en alza” (‘Advanced technology and the education revolution’). compartir. ¡El cambio está en nuestras manos! Read the full bulletin on the OLPC wiki! Sandra Barragán posted a photoset from Rodrigo’s visit to Colombia yesterday. And the Fargo team develops some game-like projects around Physics and Etoys.